Facebook has splashed the cash with its biggest ever acquisition tating over instant messaging app WhatsApp. The deal is reported to be worth a massive £11.4 Billion in cash and assets. Mark Zuckerberg is delighted with the deal and what the acquisition can do for Facebook saying "WhatsApp is on a path to connect 1 billion people. The services that reach that milestone are all incredibly valuable.”. WhatsApp provides an interactive texting service over the internet to cut out the costs that traditionally accompany text messages through phone networks. With WhatsApp you can also send pictures and videos free of charge as well as snippets of voice to take part in a more rounded conversation. WhatsApp has enjoyed a lot of success across the iOS, Android and Blackberry platforms with approximately 200 million active monthly users worldwide. The deal represents the single largest acquisition of a start up company still in its infancy with WhatsApp not yet 5 years old. As mobile technology continues to develop at a stunning pace, all the big guns are focusing a lot of energy on developing their mobile presence. Facebook is no different and by acquiring WhatsApp it has gained access to a lot of markets such as South America and Europe that Facebook isn't quite so strong in. This acquisition will go a long way towards stopping the rot as far as Facebook are concerned when it comes to younger people using instant mobile messaging and moving away from Facebook chat. 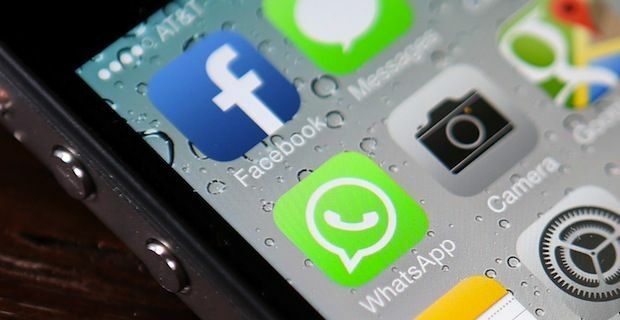 Owning WhatsApp will bring early adapters of mobile messaging apps back under Facebook's umbrella.